Couples have told me that they’ve had bad dreams before their wedding day, that no one at the reception will dance. No matter how much fun your family and friends are, I think it’s easy to worry that for one reason or another, they won’t have a good time when it’s time to celebrate. 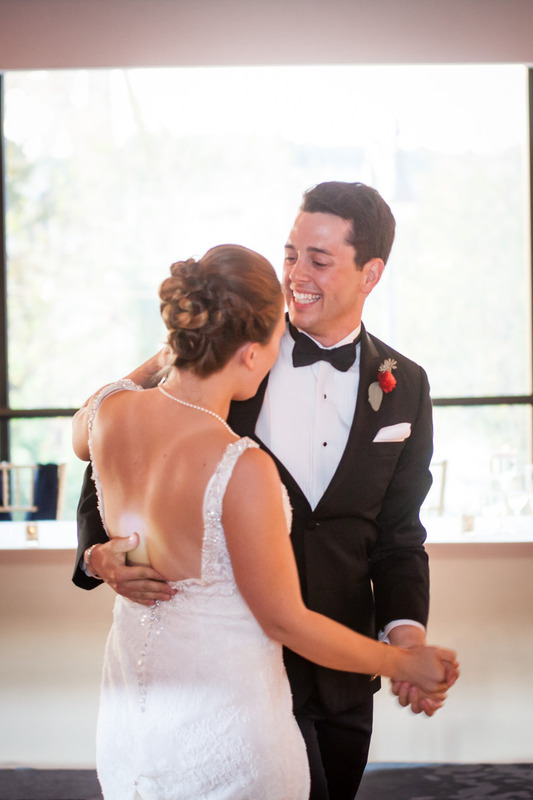 My simple advice is always this – when the bride and groom dance, everyone dances. 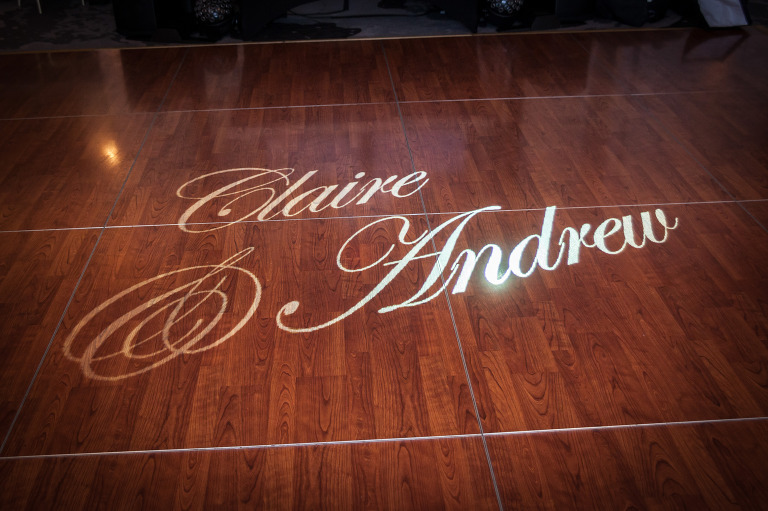 Claire and Andrew did an amazing job showing their guests exactly how to party at their elegant and fun wedding reception at the stunning Renaissance Pittsburgh Hotel. 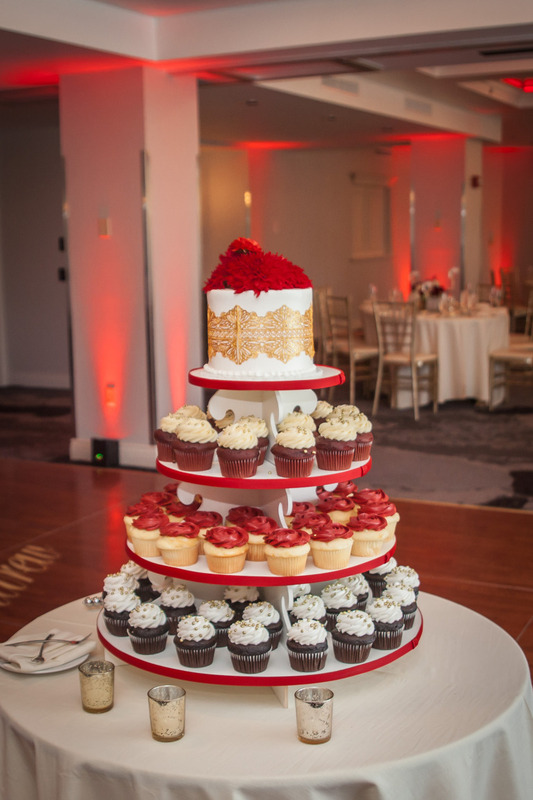 The Renaissance ballroom looked stunning, and I was thrilled that I could provide a custom monogram and red uplighting to make the room look even more amazing. 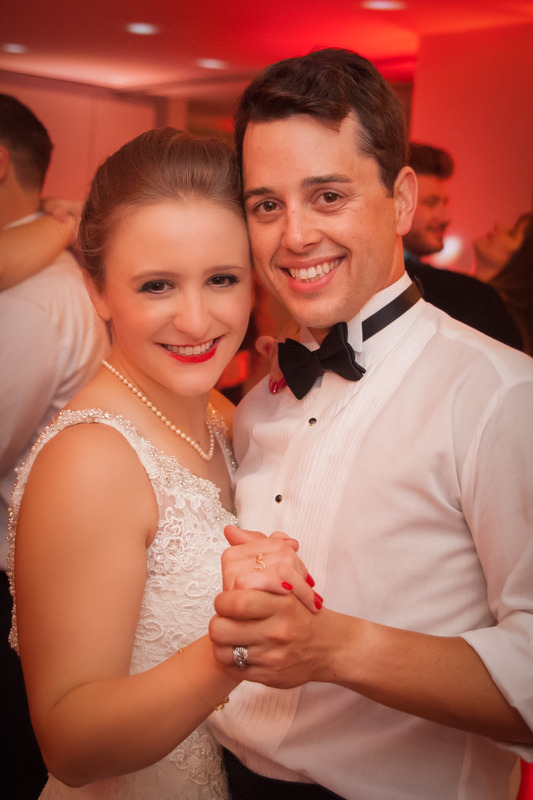 Claire and Andrew were so fun to work with, and when it came time to dance, they made sure everyone was a part of the celebration. They both spent tons of time dancing and Claire even ran to tables to drag more people to join them. 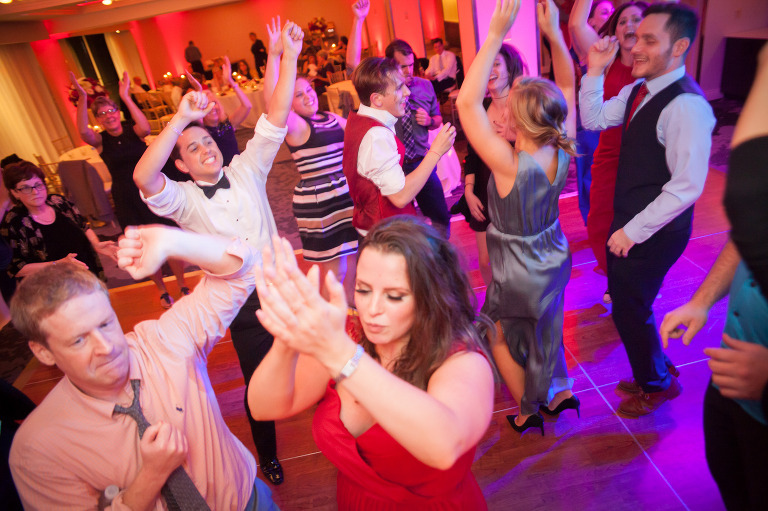 They gave their friends and family an authentic reason to celebrate and party, and wow, did they party! 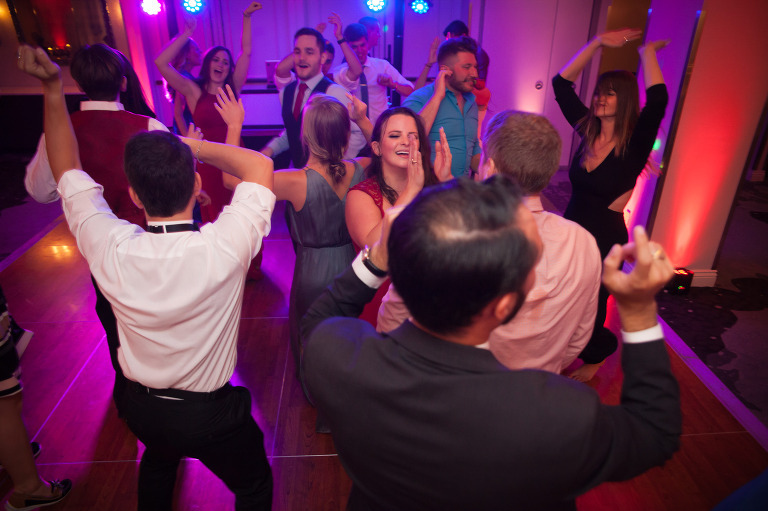 The night ended way too soon, but as the last song ended, the newlyweds were surrounded by all of their favorite people. It was the perfect ending to a great day.